Whether in the automotive, transportation or railway industries – our hot rolled profiles provide numerous branches and companies with innovative solutions. The cold-drawing process considerably enhances the dimensional accuracy and surface quality of rolled or pressed profiles, without any material loss whatsoever. The pressing plant activities of the Calvi Holding have been bundled at the “Hoesch Schwerter Extruded Profiles GmbH“ site in Schwerte since August 2016. The manufacturer of warehousing systems and industrial trucks relies on the know-how and experience of Hoesch Schwerter Profile GmbH. Precision and load-bearing capacities are fundamental criteria for components that are used in the mechanical engineering industries. As a competent partner, we develop and manufacture special components for industrial plants or power stations. Aesthetics, precision and a variety of shapes – our special profiles place the construction industry in an advantageous position. The large number of optional cross-sectional dimensions makes us a highly sought-after partner for the railway industry. The highest level of endurance, the lowest weight, exact processing – benefits that our customers from the automotive industry value. The material specifications are especially demanding in the aircraft construction industry. We supply customised solutions. The manufacturer of warehousing systems and industrial trucks has been relying on the know-how and experience of Hoesch Schwerter Profile GmbH for many years. The designing of special profiles for this branch not only necessitates having profound knowledge of the logistical demands, the profiles also have to withstand extreme loads. Precision and a variety of shapes make Hoesch Schwerter Profile GmbH a highly sought-after partner for building construction and civil engineering engineers. Whether technically demanding sheet piling designs or expansion joint profiles for bridges or road joints – the same is valid for all of the profiles: a minimum weight with a maximum bearing capacity. At the location of Schwerte the two companies Hoesch Schwerter Profile GmbH (which produces rolled and drawn profiles) and Hoesch Schwerter Extruded Profiles GmbH (with its production of press profiles) are linked by effective synergies. The Hoesch Schwerter Extruded Profiles GmbH is also supplier in serial production of drawn pre-profiles, pre-profiles for military and protective system technology and the prototype-, 0-series, sample production for research and development activities of Hoesch Schwerter Profile GmbH. Organised by the “Wirtschaftsförderung Kreis Unna”, some 30 technical students from the Freiherr-vom-Stein business college in Werne, visited Hoesch Schwerter Profile GmbH at the Calvi Network stand during the Hannover Trade Fair 2019. 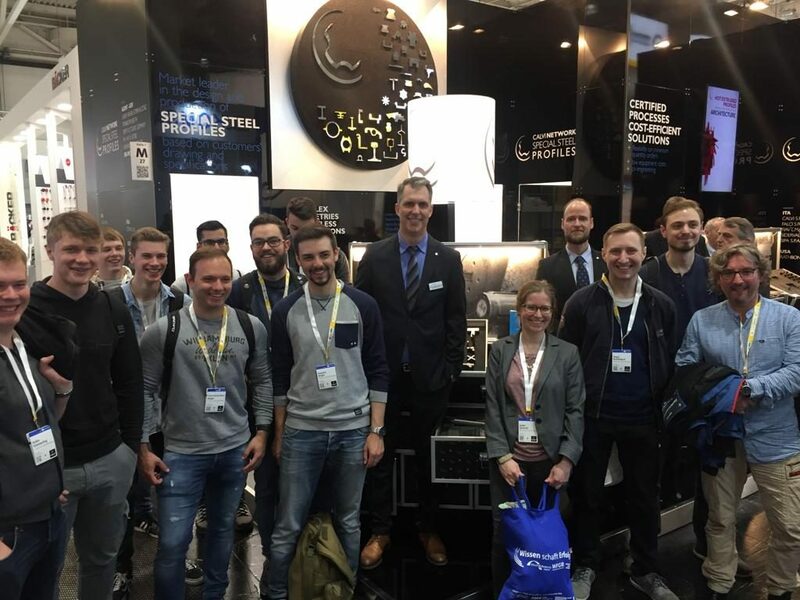 Organised by the “Wirtschaftsförderung Kreis Unna”, some 30 technical students from the Freiherr-vom-Stein business college in Werne, visited Hoesch Schwerter Profile GmbH at the Calvi Network stand during the Hannover Trade Fair 2019. Lars Wedeward, Sales Manager, Cold Drawn Profiles, presented the different manufacturing processes within the Calvi NETWORK, as well as the manifold applications of special steel profiles. We would like to thank the “Wirtschaftsförderung Kreis Unna” for the opportunity to introduce ourselves and our company. The hot rolling mill at the works of our senator Jürgen Mensinger, CEO of Hoesch Schwerter Profile was the scene of a fascinating visit of our senators. Here, Industry 4.0 is already reality. Behind the walls of historical industrial halls, a mature digital control system ensures optimized processes. In concrete terms this means clear improvement in economic results and up to 50 percent improvement in envirmonmental factors! German parliamentarian, Oliver Kaczmarek (SPD), participated in this regional meeting as a guest, and he was involved in an extensive exchange of ideas on the topics of education and research with the rest of the group. 150 years ago on 2nd April, 1868, the foundation stone was laid at the new production plant in Schwerte. 150 years ago on 2nd April, 1868, the foundation stone was laid at the new production plant in Schwerte. The original company was founded in Menden on the river Hoenne in the year 1745. However, rising production levels led to difficulties in the supply of raw materials and the transport of finished goods to the customers because Menden’s roadways were in poor condition and could only be used by horse-drawn vehicles. Furthermore, the increasing use of steam boilers required a huge amount of charcoal which was not available at competitive prices in Menden. In 1865 the management of “Kissing & Schmöle” (the company name at that time) decided to construct a new site of operations next to the planned railway line from Cologne to Minden, which facilitated the supply of coal and the delivery of finished goods to the customers. The acquisition of the required land started in 1867. On 16th September 1867 the management applied to the Magistrate in Schwerte for permission to build a puddle steel mill. Permission was granted on 6th April 1868. Four days earlier, the foundation stone had been laid and a copy of the charter was bricked into the wall. Production of steel blooms, wire rod and profiles began in December 1868. 1st August 1872 saw the company changed to a joint-stock company named “Eisen-Industrie zu Menden und Schwerte AG”. The company management moved from Menden to Schwerte in 1874, only after the Schwerte site had developed to become the main production site of the company. The closure of the Menden works as a result of the previously mentioned logistics issues followed in 1885. A wire drawing mill was built in Schwerte in 1885 followed by a wire nail production plant in 1888 and a Siemens-Martin steel mill in 1890, all of which were in operation until 1926. At that time the management decided to concentrate on hot rolled and cold drawn special profiles as a result of changing market conditions. Thus the present-day company “Hoesch Schwerter Profile GmbH” has been a supplier of special steel sections for more than 90 years. In the past weeks some changes to the Sales Team have been made. From 01.09.2018 Alona Zelewitsch has taken over the responsibility for the Marketing and Public Relations. 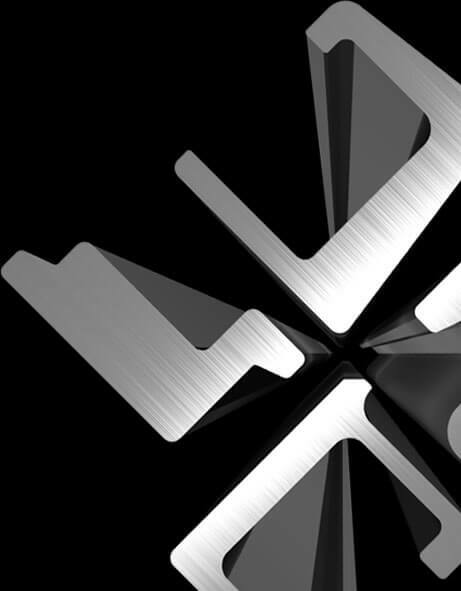 Lars Wedeward has moved from Hot Rolled Sales to take responsibility for Cold Drawn Sales. His previous activities in the Sales department of Hot Rolled Profiles are taken over by Christian Schoregge. Six apprentices were hired at Hoesch Schwerter Profile GmbH at 01.08.2018: two Industrial Management Assistants, two Milling Machine Operators, one Toolmaker and one Electronics Engineer specialized in automation. In August 2019 our company will again hire further apprentices. At a ceremony on 18.09.2018 in the Kamen guildhall the Dortmund Chamber of Industry and Commerce honoured the top 180 apprentices from the region. We are pleased to note that Robin Kubsch, one of our apprentices for Machine and Equipment Operator is among these elite group. On 13.09.2018 the 3rd conference of the Workgroup Manufacturing and Shipbuilding of the VSM took place at Hoesch Schwerter Profile GmbH. 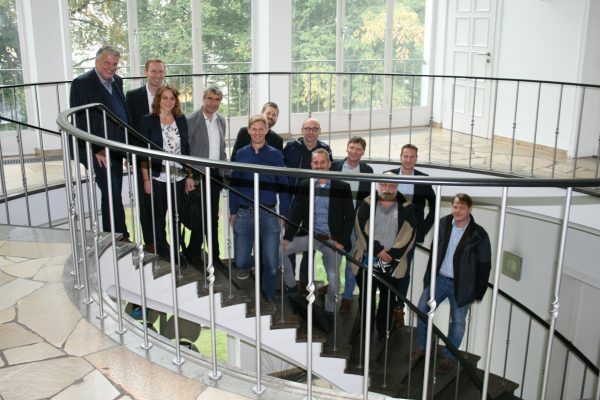 To begin with the VSM and shipyard representatives (Flensburger Schiffbau-Gesellschaft mbH & Co. KG, Fr. Lürssen Werft GmbH & Co. KG, Lürssen-Kröger Werft GmbH & Co. KG, Nobiskrug GmbH, Pella Sietas GmbH, ThyssenKrupp Marine Systems GmbH) were shown the Schwerte production facilities for Hot Rolling, Cold Drawing and Hot Extruding Special Profiles. On 13.09.2018 the 3rd conference of the Workgroup Manufacturing and Shipbuilding of the VSM took place at Hoesch Schwerter Profile GmbH. 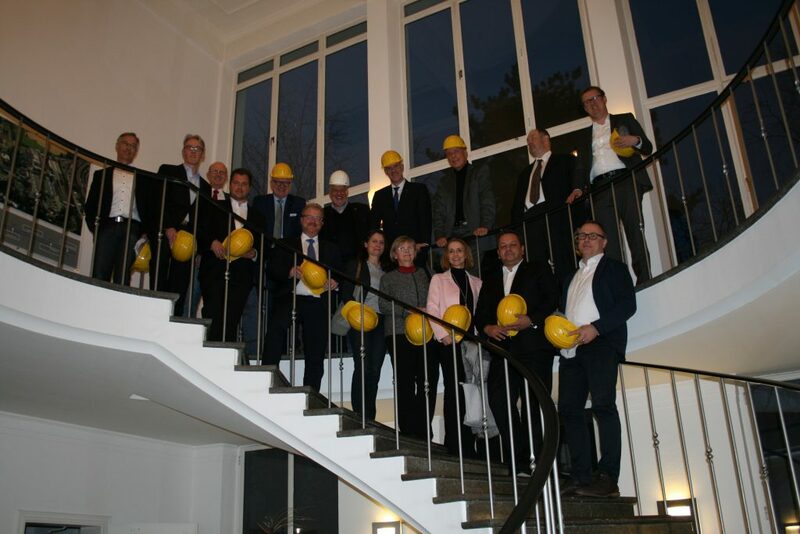 To begin with the VSM and shipyard representatives (Flensburger Schiffbau-Gesellschaft mbH & Co. KG, Fr. Lürssen Werft GmbH & Co. KG, Lürssen-Kröger Werft GmbH & Co. KG, Nobiskrug GmbH, Pella Sietas GmbH, ThyssenKrupp Marine Systems GmbH) were shown the Schwerte production facilities for Hot Rolling, Cold Drawing and Hot Extruding Special Profiles. Subsequently, a discussion with the HSP project team was held. The main theme was the potential to optimize products using special profiles and the importance of common development. Use our know-how for your company! More than 1.5 million tonnes of delivered profiles for the lift truck and industrial truck industry, along with active participation in research and customized development, are synonymous with our expertise. Use our know-how for your company! Jürgen Mensinger represents as Senator Hoesch Schwerter Profile GmbH in the “Senat der Wirtschaft Deutschland”. The „Senat der Wirtschaft Deutschland“ [Senate of Economy Germany] is composed of personalities from business, science and society, who all are mindful of their responsibility of our state and society. The „Senat der Wirtschaft Deutschland“ [Senate of Economy Germany] is composed of personalities from business, science and society, who all are mindful of their responsibility of our state and society. Together, they contribute to the practical implementation of goals for sustainability which are oriented in public welfare in the sense of an eco-social market economy. The „Senat der Wirtschaft“ refers on the traditional idea of the Senate in the antiquity. A balanced circle of friends with independent minds following the common welfare rather than just particular interests. The „Senat der Wirtschaft“ is oriented only in the public weal and stands in constant dialogue with representatives from politics and science. The Senators of Honour Prof. Günther Verheugen, Prof. Klaus Töpfer and Rosi Gollmann in addition to many other experts gives exciting impulses. The ethical principles of the Senate can also be the basis and guideline for the economic action of the members of the Senate. Fairness and partnership in economic life as well as social competence of entrepreneurs and executives characterize the work of the Senate. HOESCH SCHWERTER PROFILE GmbH is a member of CMT – Center of Maritime Technologies e.V. HOESCH SCHWERTER PROFILE GmbH is a member of the CMT – Center of Maritime Technologies e.V. and our Managing Director, Mr. Jürgen Mensinger has been appointed to the “Technical Scientific Committee”. CMT is the coordination centre for the maritime industry’s network for scientific research, development and innovation. The personal membership of our Managing Director, Mr. Jürgen Mensinger, in the respective affiliated scientific advisory boards, also opens up interesting perspectives in intersectoral cooperation.